If you’re behind on payments and you’re wondering how to stop foreclosure in Atlanta, Georgia, then read on. This article covers your options and dives into what those options hold for you as the homeowner wondering how to stop foreclosure. Filing for bankruptcy in Georgia should only be used as a last resort during your foreclosure process. Before filing for bankruptcy, try other options available to you to pay off your debts. Contact your bank and other loan servicers and try to negotiate for a loan modification or a refinance of your mortgage with lower payments. Alternately, you can try a short sale of your home in foreclosure to cover your debt, assuming you are not underwater on your loan. A cosigner agrees to pay your debt in the event that you cannot pay. For example, a parent may have cosigned a home loan for you when you graduated from college because you had little or no credit. However, if you declare bankruptcy, a cosigner on your loan is still be legally obligated to repay your debt. 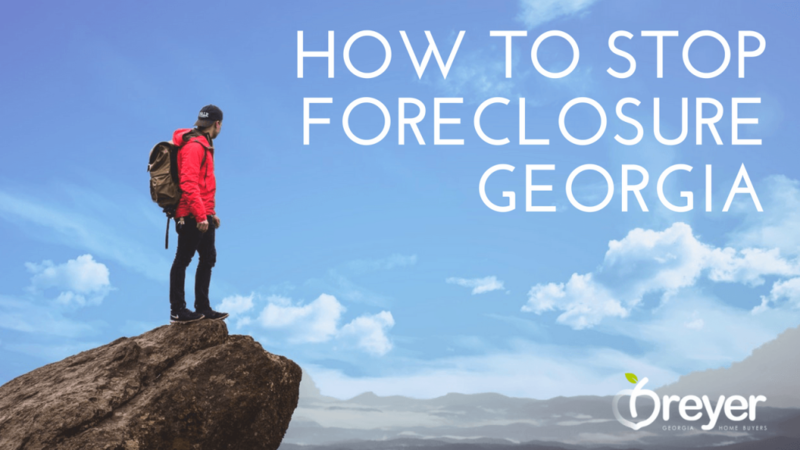 If you’re considering filing for bankruptcy when facing foreclosure in Georgia, learn about the kinds of debt that can be erased and what debts will not be forgiven, such as student loans. Recognize the impact on cosigners to your loans. Decide if you can live with the negative impact bankruptcy has on your credit. Evaluate whether or not you even qualify for bankruptcy. The more accounts associated with the filing, the bigger the impact on your credit score. The effects of bankruptcy can last up to 10 years, impacting your credit scores and purchasing capabilities. 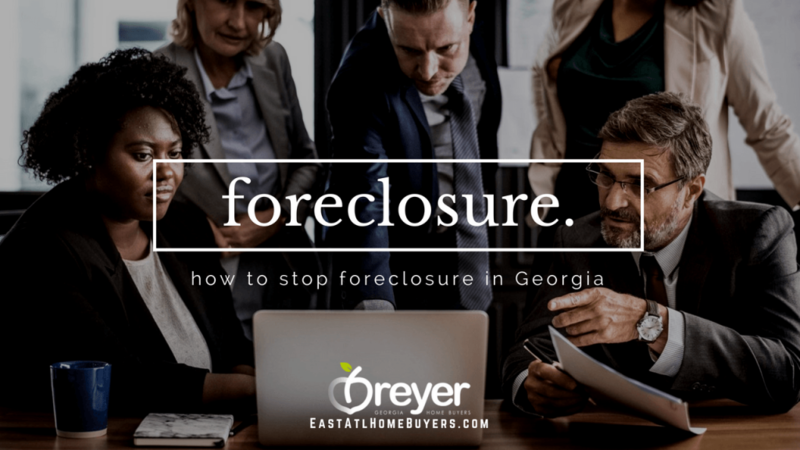 When you file for bankruptcy in Atlanta, Georgia, a court order called the automatic stay immediately stops foreclosure and most collection actions being taken against your property by a loan servicer. The automatic stay may provide a compelling reason to file for bankruptcy in Georgia. Bankruptcy can temporarily – and sometimes permanently – help if you’re facing foreclosure evictions in Georgia.. If you can agree on a way that you will be current after missing a payment or two (without the means to pay it back), the lender might give you a break and waive your obligation to pay back that debt that you missed. This is called debt forgiveness, but it rarely happens. For example, if your mortgage payment is, say, $1,200 per month, the bank might let you add $100 a month to each mortgage payment for a year until you are caught up. This is called a repayment plan. If you have sufficient equity in your home that you’re facing foreclosure with, and meet the lender’s lending guidelines, the lender might increase your loan balance to include the back payments and re-amortize the loan. This is called a refinance. The lender might also work an arrangement where a homeowner can remain in the home until finding a place to move into. Homeowners in default and facing foreclosure in Georgia should negotiate the right to retain occupancy, arguing that if the lender followed through on the foreclosure, an owner would still enjoy the right of possession during that procedure. A monthly payment plan for managing debt that lasts three to five years and usually results in a discharge of your bankruptcy, and foreclosure. Chapter 13 bankruptcy in Georgia will last from three to five years, the length of a monthly payment plan you propose to the court to pay certain debts. The plan period will vary from three to five years, depending on your whether your family income is generally above or below the median income. Chapter 13 is an attempt to “reorganize” a your debt over time. It’s a great tool for the debtor who is behind in house payments or car payments. Those payments can be caught up with the payment plan over time, thereby saving the house from foreclosure. A legal action such a bankruptcy can stop all foreclosure action with an automatic stay. Call a lawyer who specializes in filing for bankruptcy and foreclosure laws in Georgia and ask for a thorough explanation of all your bankruptcy and foreclosure options, costs and time frame involved. 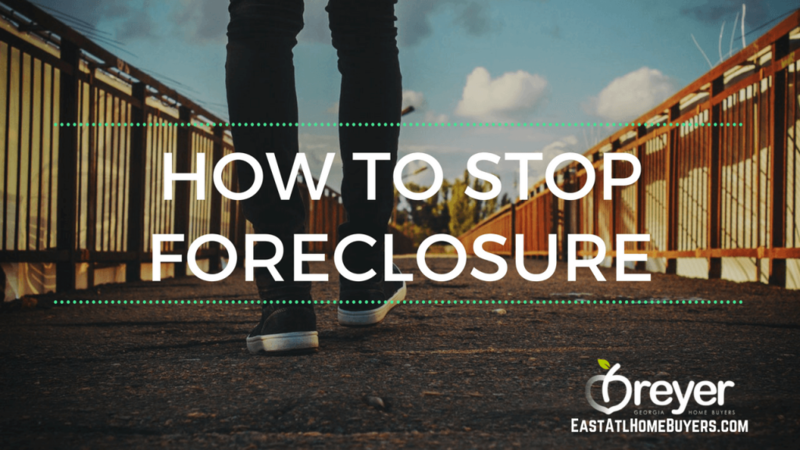 It won’t permanently stop a foreclosure action but it can postpone it. Related: What Is Pre Foreclosure in Atlanta? The Chapter 13 plan must meet several tests in order for it to be confirmed or approved by the bankruptcy court in Georgia. First, the plan must be proposed in good faith, meaning that you intend to completely follow through on the bankruptcy repayment plan and are not attempting to misrepresent your finances or perpetrate a fraud on the bankruptcy court. The plan must also meet the “best interest of creditors” test. 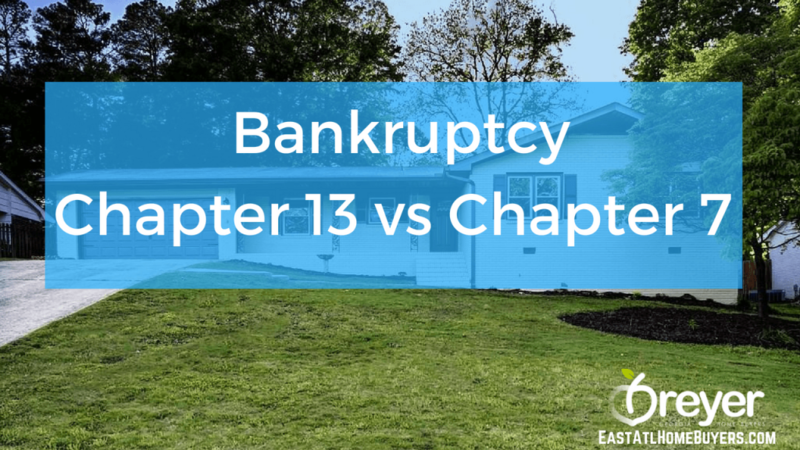 This test requires that the Chapter 13 plan must pay unsecured creditors at least what they would have had under a Chapter 7 bankruptcy. In many cases, the unsecured creditors would have received nothing in Chapter 7, so this test can often be easily met. The other test is called the “best efforts” test. The best efforts test requires that the Chapter 13 plan pay unsecured creditors a certain amount multiplied by the debtor’s disposable income. This means that they are going to take a set amount from your income. For example, if they take 30% and you make $1,000 / week then they would get $300 / week from your wages. Chapter 7 bankruptcy is the single most common type of bankruptcy filed in the United States. Chapter 7 is also called straight bankruptcy or liquidation bankruptcy. It’s the type most people think about when the word “bankruptcy” comes to mind. In a nutshell, the bankruptcy court appoints a trustee, usually a bankruptcy attorney in Atlanta to oversee your case. Part of the trustee’s job is to take your assets, sell them and distribute the money to the creditors who file proper claims. The trustee doesn’t take all your property. You’re allowed to keep enough “exempt” property to get a “fresh start”. If your home is worth less than the amount you owe on the mortgage, you might be a candidate for a short sale vs foreclosure in Georgia. A short sale affects credit but it’s not as bad as a foreclosure. You or your real estate agent will need to negotiate with your lender to find out if the lender will cooperate on a short sale. This is called a pre-foreclosure redeemed. 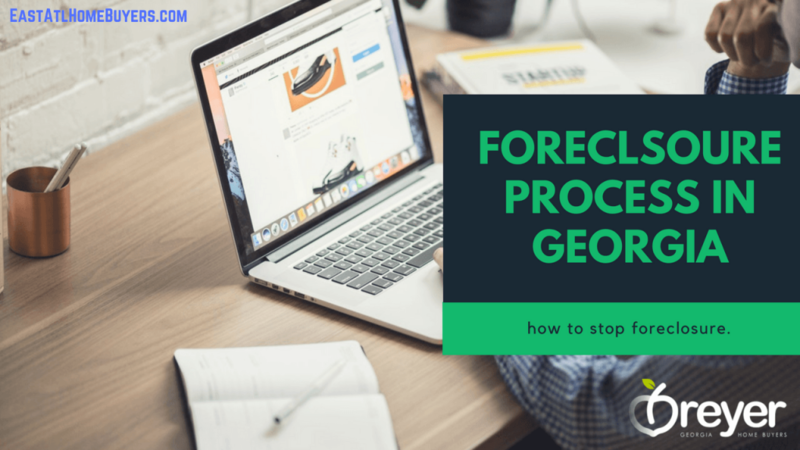 If you sell through a Realtor in Georgia, then you might not be able to perform a short sale in Atlanta due to the time properties sit on the market being longer than the pre foreclosure process. Realtors usually also have multiple properties that they are listing, so you may not be their first priority. Note that companies like Breyer Home Buyers specialize in negotiating short sales with banks, can pay cash for your property, and can close in as little as 14 days. We are not Realtors. We are cash buyers. If you want to see if we can help you with the short sale process or help you figure out how to stop foreclosure in Atlanta, give us a call today at (770) 744-0724. Related: Short Sale vs Foreclosure – What’s the Difference? Short sales in Georgia are usually initiated by the homeowner, often when the value of a home drops by 20% or more. Before the short sale process can begin, the bank that holds the mortgage must sign off on the decision to execute a short sale. Additionally, the lender, typically a bank, needs documentation from the homeowner that explains why a short sale makes sense; after all, the lending institution could lose a lot of money in the short sale process. If approved for short sale in Atlanta, the buyer negotiates with the homeowner first and then seeks approval on the purchase from the bank second. It is important to note that no short sale may occur without lender approval. You need to get someone on your team like Breyer Home Buyers who has experience negotiating short sales with banks. We usually have relationships with banks already as we help homeowners with the short sale process all of the time when they are facing foreclosure in Georgia. Interview real estate agents to get an opinion of market value and average days on market to sell your home. Days on market is very important. If you have 130 days until you go through foreclosure eviction in Georgia, then you cannot have your house sit on the market in Atlanta for 6 months before you even get an offer. You might be tempted to hire a discount broker, but many sellers feel they need the exposure and marketing that full-service brokers offer. Compare both to determine which best meets your needs and time frame. Just remember that you are going to have to pay Realtor fees and commissions when you take this route. If you sell your house for $200,000, and you have to pay 6% commissions, then you will lose $12,000 to your Georgia real estate agent. This may put you under water, meaning that you’ll owe your bank money too at the end of the sale. If you need to sell your house fast and avoid Georgia Realtor commissions, then working with Breyer Home Buyers is your best option. We can close in as little as 14 days (no sitting around and hoping that you sell your house) and we pay cash for properties. The benefit to you is that you know your house is sold to a reputable company and you get to avoid foreclosure and move on with your life. We don’t work with everyone, but if you want to see if we can help you, fill out the form below or give us a call today. We will call or text you back today and we will schedule an appointment to see the property. Once we see the property, we will give you a no-obligation fair cash offer. Feel free to tell us “no.” We aren’t salespeople and we don’t pressure you to sell. We just want to help.